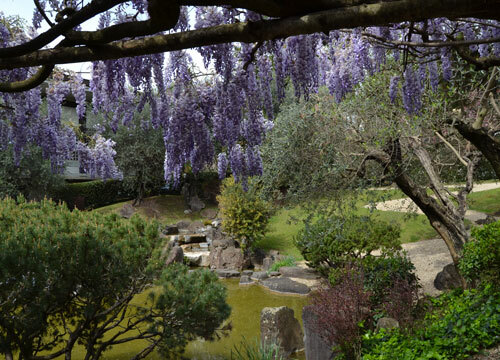 The Japanese Institute in Rome has a lovely garden that reflects the traditions and symbolism of Japanese landscaping. It was the first garden in Italy designed by a Japanese architect, Ken Nakajima, and comprises all the essential features of a sen’en style garden – a pond, a waterfall, rocks, small islets, a bridge and a stone lamp. During this highly requested tour, we will seek to understand the philosophy behind these beautiful forms. Contributions from participants will be entirely donated to our charity, Frontier College’s Lieutenant Governor’s Aboriginal Summer Reading Camps. Time: 10 a.m. start; the guide will not wait for latecomers. Where: Valle Giulia area; exact meeting details will be sent to confirmed participants. Cost: to raise funds for the CCR charity, the Aborginal Children’s Summer Reading Camps, we will be collecting €10 from CCR members and €15 from non-members; maximum 15 people. RSVP with your full name to canadarome@gmail.com ATTN Diana. The social and cultural club for Canadians and their friends in Rome. The CCR 2011-2012 Season in Review! CCR 2011-2012 Season Opening - Welcome Back, Everyone!